BlackBerry says it is phasing out its Classic device as the Canadian company updates its smartphone lineup. In a blog post Tuesday on the Waterloo, Ont.-based company's website, Ralph Pini, chief operating officer and general manager for devices, said the Classic model has been an "incredible workhorse device for customers, exceeding all expectations." 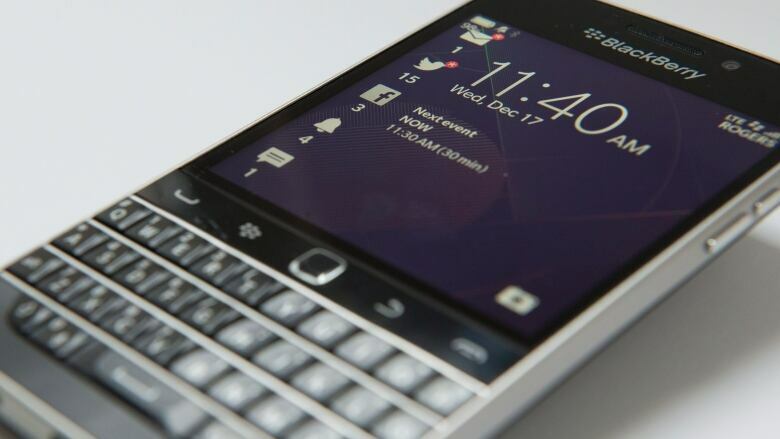 Introduced in 2014, the Classic was modelled on the popular Bold 9900, but with a much larger screen, longer battery life and faster software. The Classic also featured a return to a physical keyboard. The list price for an unlocked Classic on the company's website is $499 Cdn ($379 US). Pini said the model has long surpassed the average lifespan for a smartphone in the current market. "We are ready for this change so we can give our customers something better – entrenched in our legacy in security and pedigree in making the most productive smartphones," Pini said. The end of the Classic model is a sign of the times as smartphone users have adjusted to using touchscreen keyboards in place of physical keyboards, said Troy Crandall, vice-president and senior research analyst at 3Macs. "People want the real estate to be mostly screen," Crandall said. In late June, BlackBerry reported a $670-million US net loss in the first quarter of its 2017 financial year, but said its recovery plan for the year remains on track. BlackBerry CEO John Chen has said the company's top goal is to make its mobile device segment profitable in the current fiscal year. In the first quarter, the segment reported revenue of $152 million and a $21-million operating loss. Chen said at the time that he expected BlackBerry's new mobility solutions segment to break even or post a slight profit during the third quarter. He said the mobility solutions business will aim to boost device sales by targeting new distribution channels and starting up a mobility software licensing service. The company has said it plans to introduce two mid-range Android-powered smartphones during its current fiscal year.